When you own a car, there may be a time when you need to store it. Perhaps you are going on a long trip, or going somewhere warm for several months in the winter. Perhaps it is the car of a relative who has an extended illness. You may even have a car that is just not practical for winter driving in snow, ice, and sleet. You may not have enough garage space. 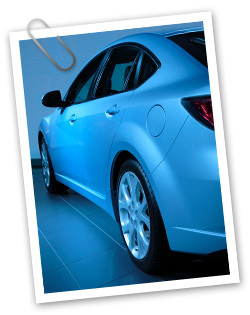 When preparing to store your vehicle, there are several things you should to do to ensure it is done properly. Think about your needs for access when you do this. If you are simply looking for an extra garage and plan to use your car often, be sure the storage unit is easily accessible and close to your home. Be sure the air is dry so the car won't rust. A climate-controlled storage facility is your best choice. Be sure the car has gas and add a stabilizer if you plan to store your car for at least two months. Filling the tank with gas prevents the tank from rusting inside. Adding the stabilizer preserves the gasoline and also prevents damage to the fuel system. Usually you will add 1 ounce of stabilizer for every 3-5 gallons of gas, but check the label on the stabilizer to be sure. Dirty engine oil can thicken after long-term storage and make it difficult to start the car when you retrieve it. Put tire jacks under the tires. This prevents the tires from getting flat spots and also takes the weight off of the tires. That way, you won't show up at your storage unit ready to take your car out for a drive only to find you need new tires. Make sure your car is clean inside and out. Wash and wax the outside of the car and clean and vacuum the inside. A clean outside removes things that can eat away at the car's finish and prevents corrosion. A clean inside prevents things such as dirt, food, and residues from festering and causing mold or encouraging pests from entering your car. Car batteries can leak acid and corrode the inside of the car if they sit unused. Disconnecting the battery is a simple process and will save you trouble later on. Even if your car is in a climate-controlled environment, damages can still occur. A car cover will keep it clean and prevent things from falling on it. If you follow these tips when storing your car, you can ensure your car will be in good condition when you are ready to use it again.